Those who are recovering from surgery, disabled or suffering from dementia will benefit from in home care services. An in-home health aide gives your loved one security and comfort in their own home. Specifically for the elderly, in-home care grants them the ability to live as independently as they can for the longest time possible. There are a variety of care services available offering a range of assistance. For example, a personal care aid can prepare meals while a companion aide organizes recreational activities. Home care aides usually work with individuals who are moderately self-sufficient and not reliant on around-the-clock care as in a hospital. A skilled care worker is for someone who has surpassed the hospital stage but still requires regular medical care.  When your loved one’s needs extend beyond the qualifications of an in-home care service worker, a skilled care professional is needed. A skilled care aide, such as an in-home nurse, fulfills medical needs of elderly who are ill, disabled, or suffering from dementia. The needs of the patient may include administering medications and shots, conducting physical therapy, overseeing rehabilitation after a surgery, accessing health levels and performing emergency care. In-home medical professionals are trained specifically to manage care and observe health to ensure stability. Skilled care workers are informed about medical practices and are able to effectively monitor health conditions. As you begin your search, have these questions ready to ask the in-home medical professional: What kind of services can they provide? Can they provide references and certifications? What is the cost? Do they accept insurance? Use resources like your local hospitals, community centers, and local online listings to find the best service. An aide can serve as a valuable source of information as you and your loved one face health issues.